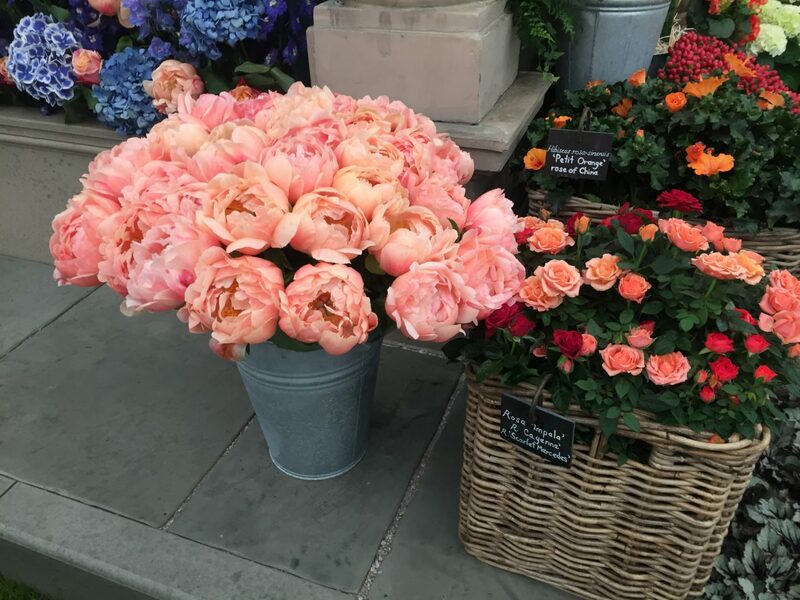 Last month I took my mum to the Chelsea Flower Show for her birthday and we had a blast! 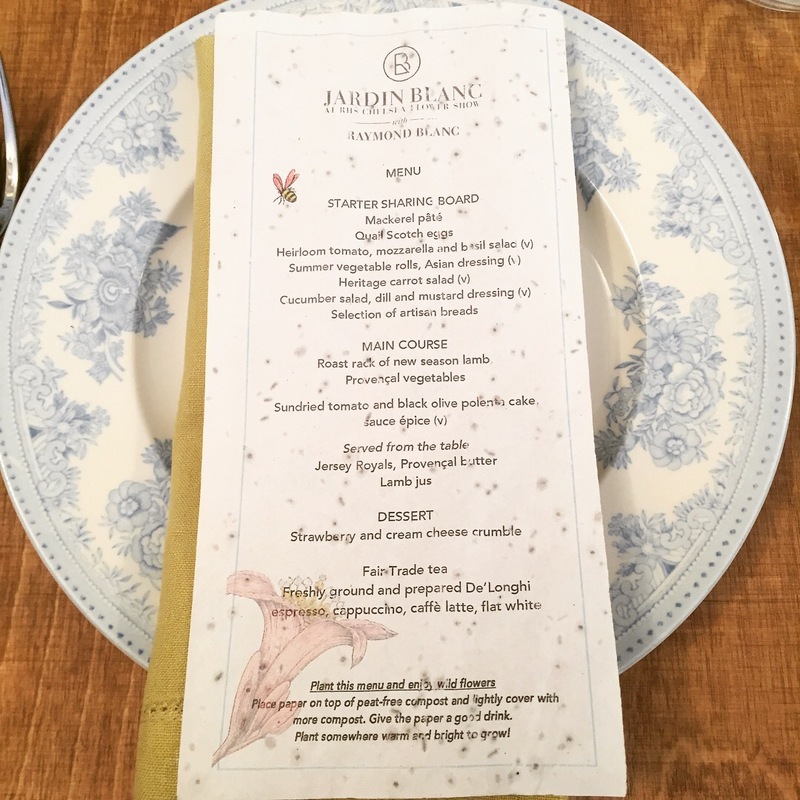 I managed to get two tickets to the Jardin Blanc Garden – a separate area which chef Raymond Blanc hosts himself alongside an excellent team. 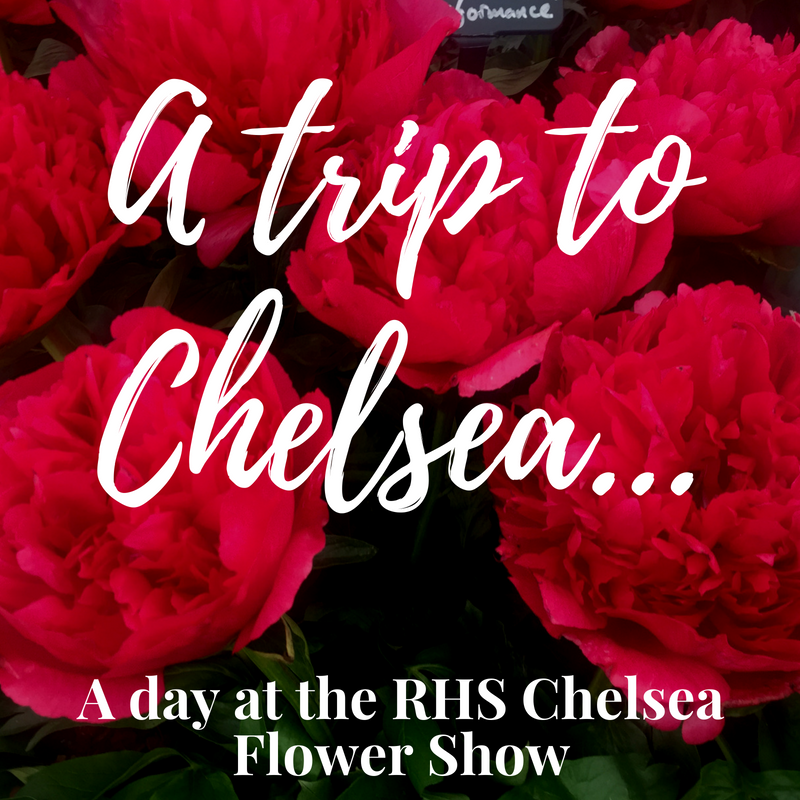 Doors to Chelsea open at 8am and we had to be there on the dot so we could soak up as much of it as possible. That and my mum was EXTREMELY excited! As soon as we walked through the gates I went to go and grab two freebie tote bags that were being given out (the first of many we picked up) and when I turned back my mum had disappeared. I got that sudden sinking feeling you get as a child when you can’t see your mum, but then had to pull myself together when I remembered I am 28 years old and eventually found her taking pictures of the first of the show gardens. This became the theme of the day and I had to keep an eye on where she’d keep darting off to! 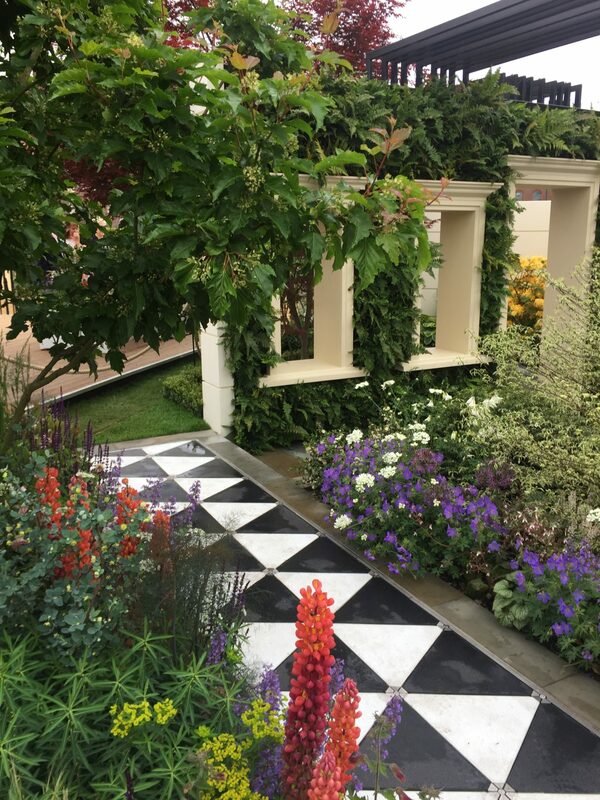 The show gardens lived up to their name and really did put on a show which inspired all the senses. The rainbow of colours was wonderful and I was very happy to see that yellow seemed to be this year’s ‘in’ colour as so many gardens were rocking it. 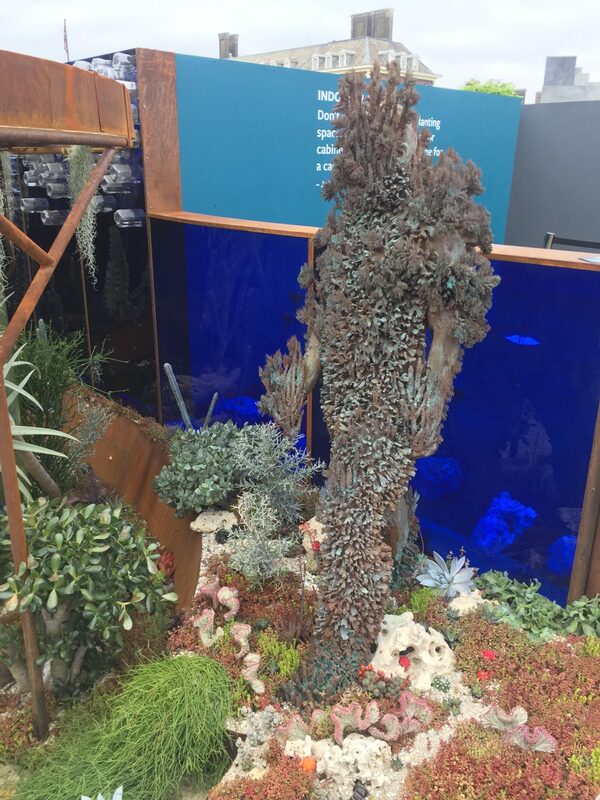 The messages behind the gardens were so pertinent too, this one highlights the amount of plastic waste in our oceans, complete with fish tanks full of tropical fish and a ‘seaweed man’! 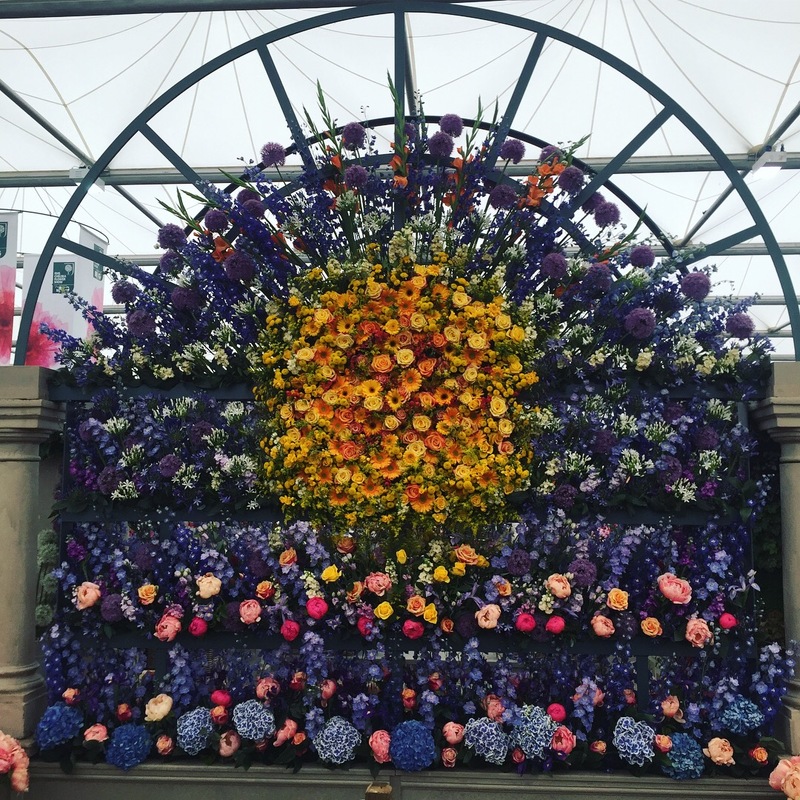 We’ve been to Hampton Court Flower Show before so I knew sort of what to expect, but nothing prepared me for how big the showground is, or how huge some of the plots are. 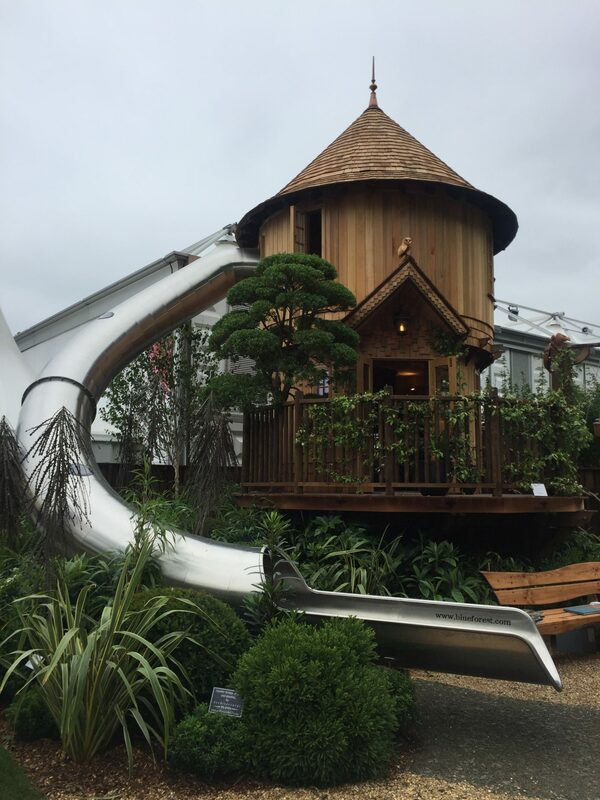 We saw enormous sculptures made out of driftwood (that I’m sure you could only buy if you had ‘land’ rather than a garden), and a huge treehouse complete with slide and a pulley system with a basket on the end which was full of Prosecco – clearly the only reason this was added. 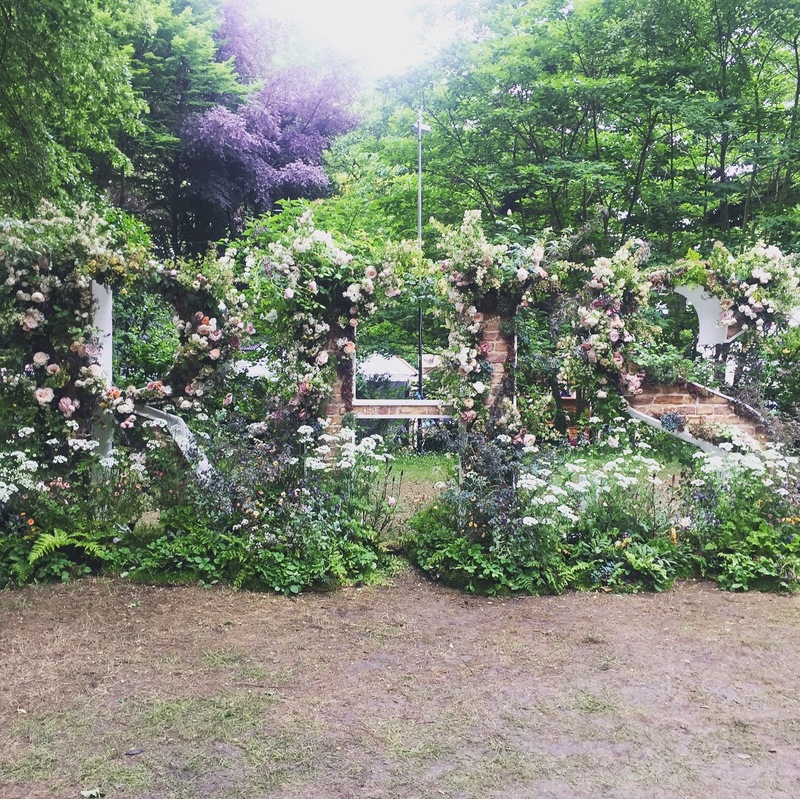 This was definitely my favourite garden…until we saw one that was handing out cheese. 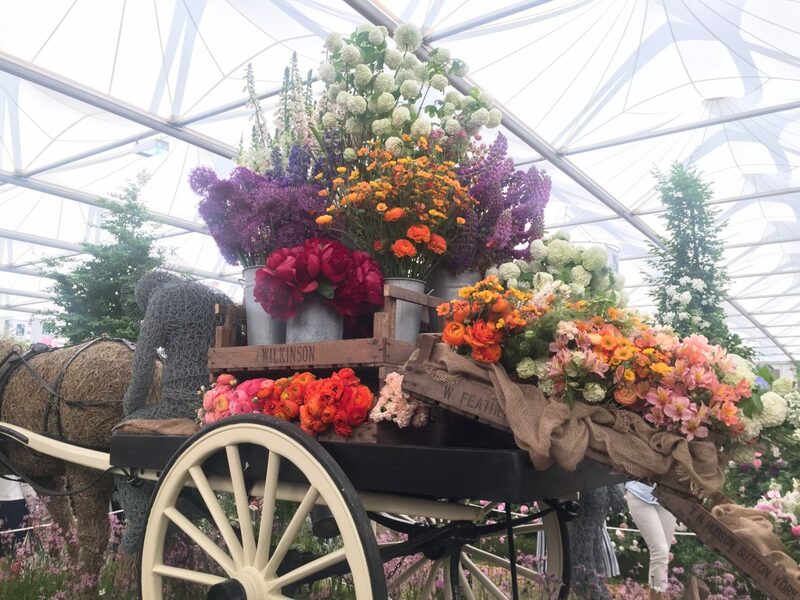 We headed into the Great Pavilion next, which is a beautiful assault on the senses with splashes of colour and floral smells hitting you as soon as you walk in. Even with much smaller plots the exhibitors had really used the space in the best ways to accentuate their plants. 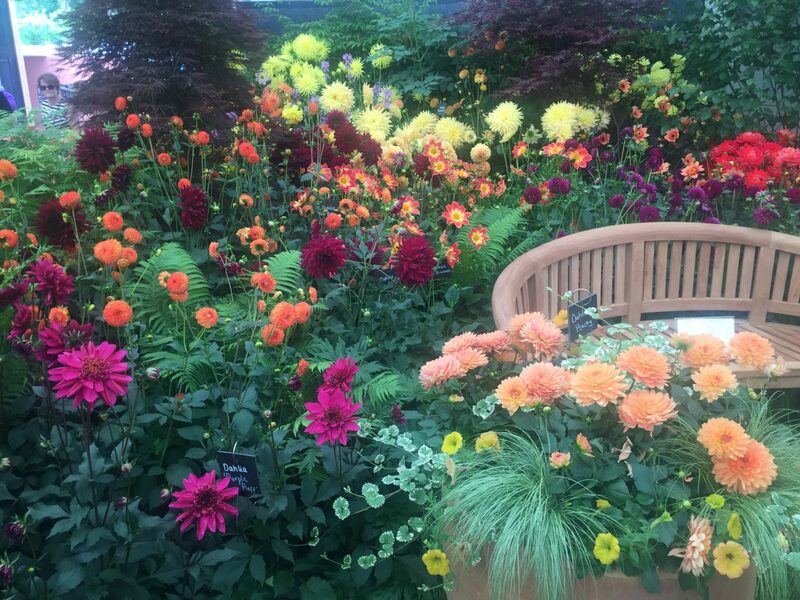 The dahlia stand was full of colour and even had a bench and a small walkway running through it so you felt as though you were away from the hustle and bustle of the tent for a moment. 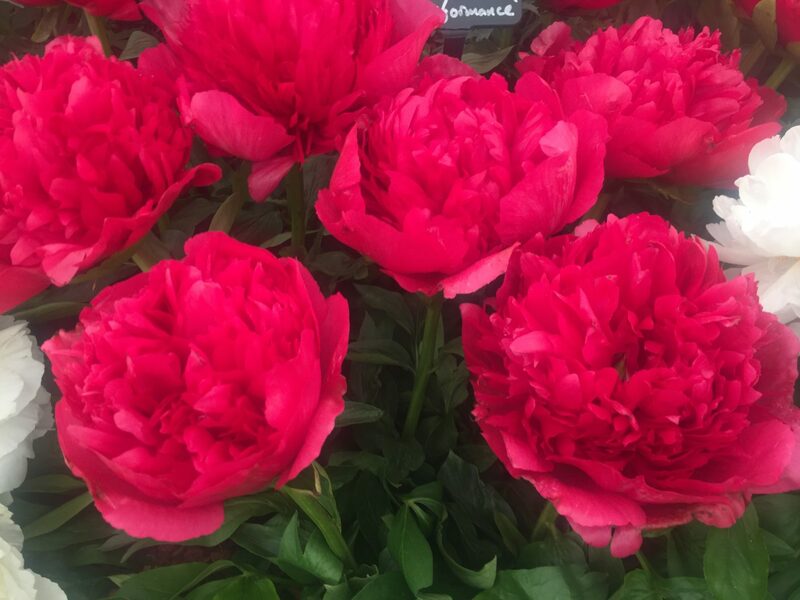 Peonies are my favourite flower and the displays in the pavilion were just so beautiful. Packed together in buckets and boxes, the array of different types and colours was truly breathtaking. I want a garden just so I can try and grow my own! 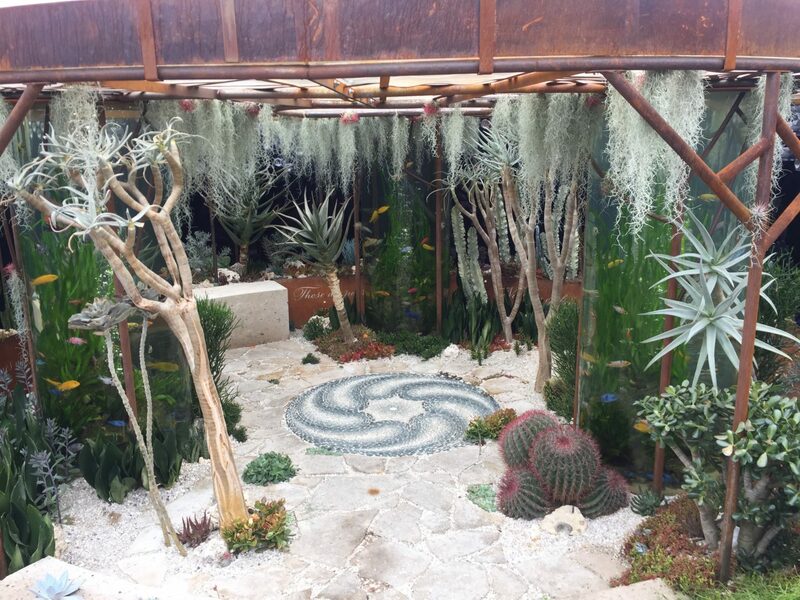 The Jardin Blanc garden opened at 10am so while making our way over we stumbled upon the artisan gardens. 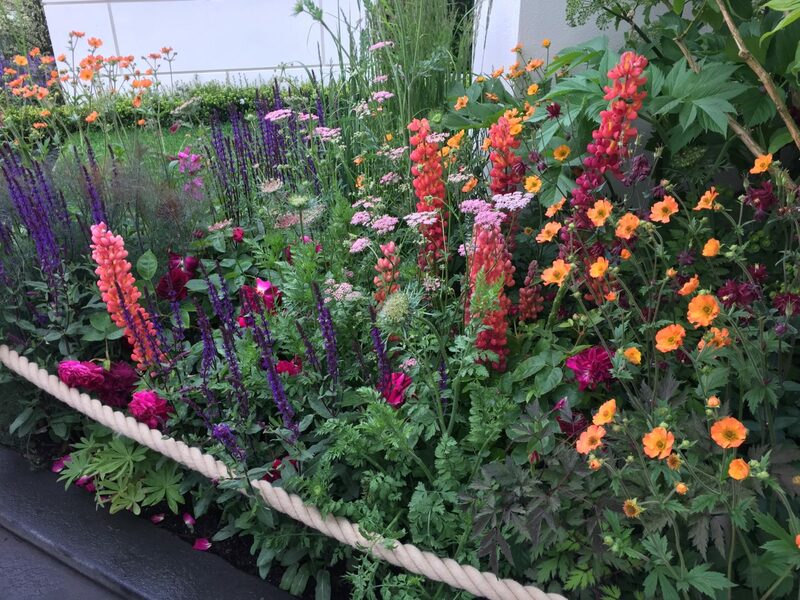 These gardens showcase what you can do with smaller plots and this year’s entries really had an abundance of innovation. 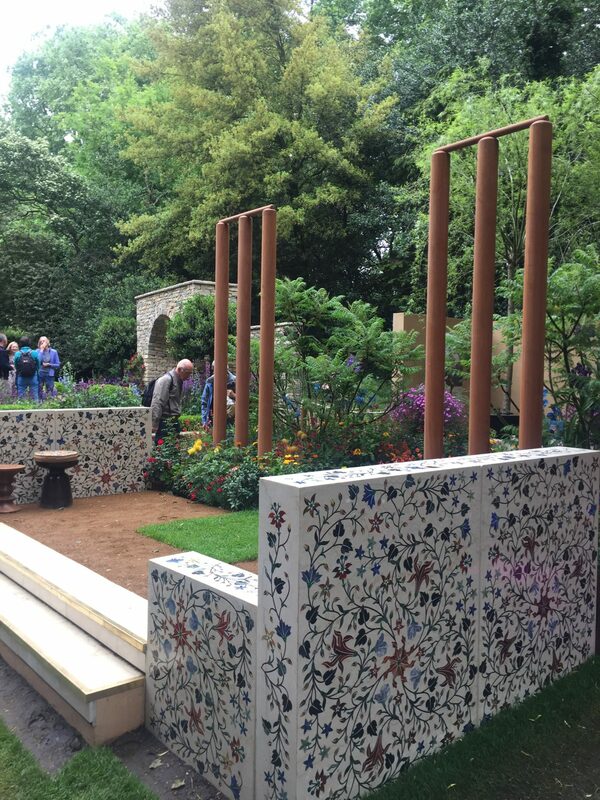 This garden was commissioned by the British Council and draws on the UK and India’s shared love of cricket. I love the tiles used on the walls – definitely something I’ll keep in mind for my future garden! 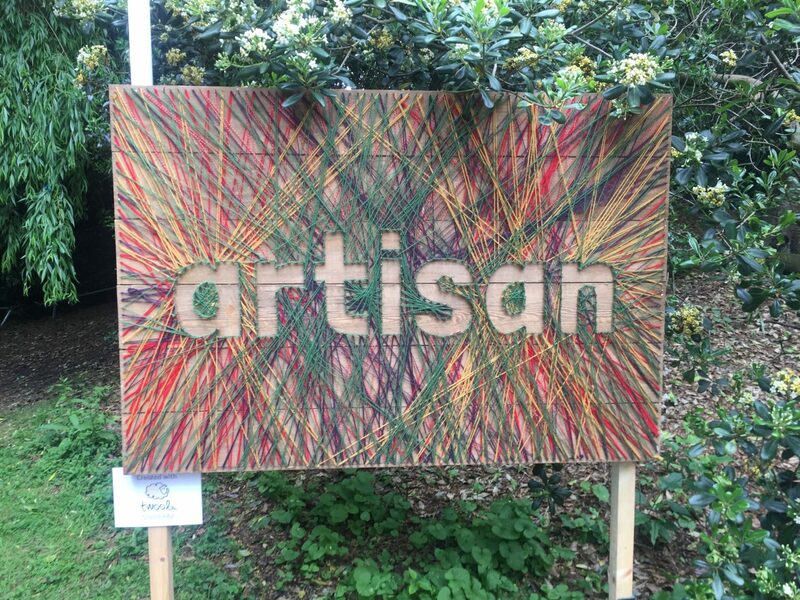 In the same area was the artisan food market which was in a clearing in the trees. Hipster little food and drink stalls were dotted around wooden tables and benches serving wood-fired pizzas and copious amounts of gin cocktails – this was definitely a good place to stumble upon! There were also a few huts with local craftspeople selling their wares, like organic clothing and wooden ornaments. We finally headed down to the Jardin Blanc gate where we were met by a very friendly host who checked our tickets and sent us to the right dining area. I didn’t quite know what she meant when she told me to head for number seven, but as we meandered down the walkway (very slowly as we had to take pictures of everything obviously) it became apparent that this area was much bigger than we thought. There were at least 10 dining rooms that could hold approximately 50 people as well as the cooking demonstration area where Rayond Blanc would be showing us how to whip up some very tasty dishes later in the day. 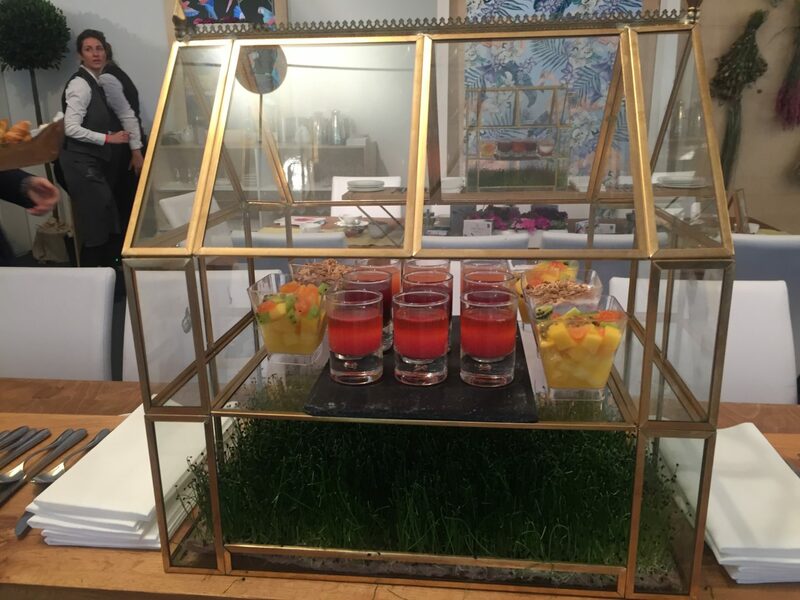 Our dining room was decorated with bundles of dried flowers and amazing wallpaper covered in flamingos, and on each neatly laid table was a pristine miniature greenhouse complete with cress ‘grass’. 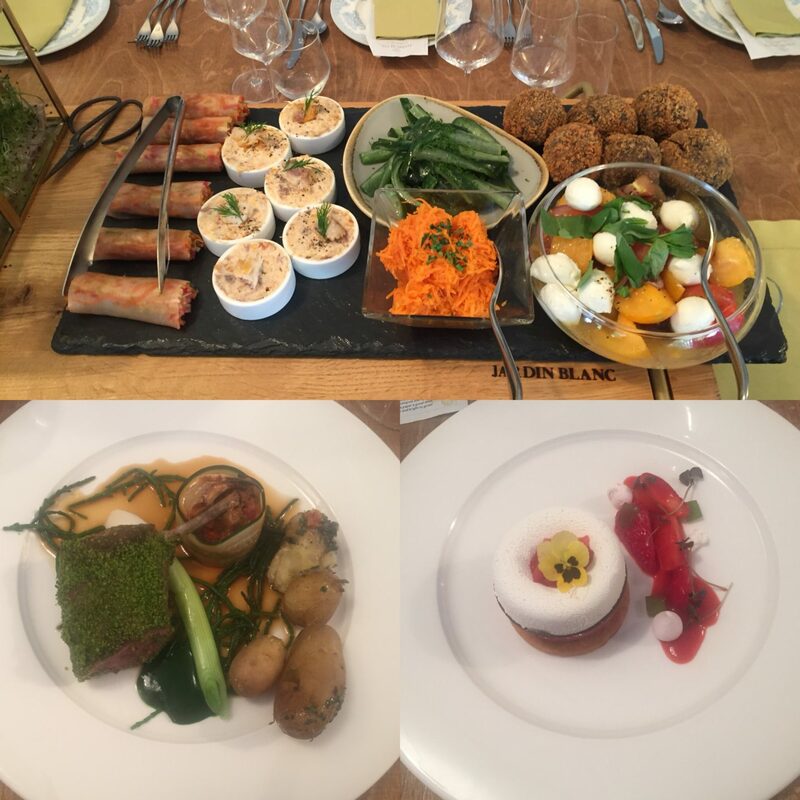 Our tickets included breakfast, a three-course lunch, all drinks and two cooking demonstrations by Raymond Blanc. 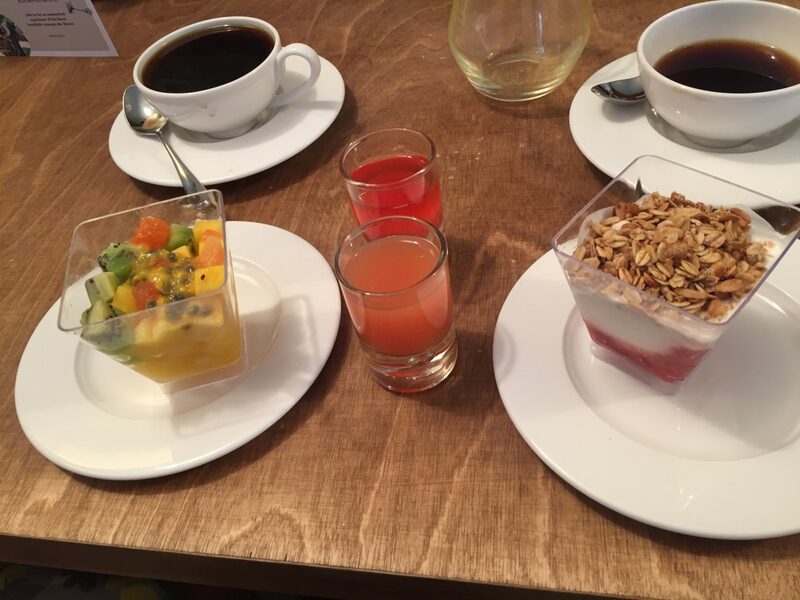 The greenhouses on the tables had our breakfast in when we arrived – pots of fruit and yoghurt with fruit juice shots along with all the tea and coffee you could want from the extremely attentive and very lovely waiting staff. 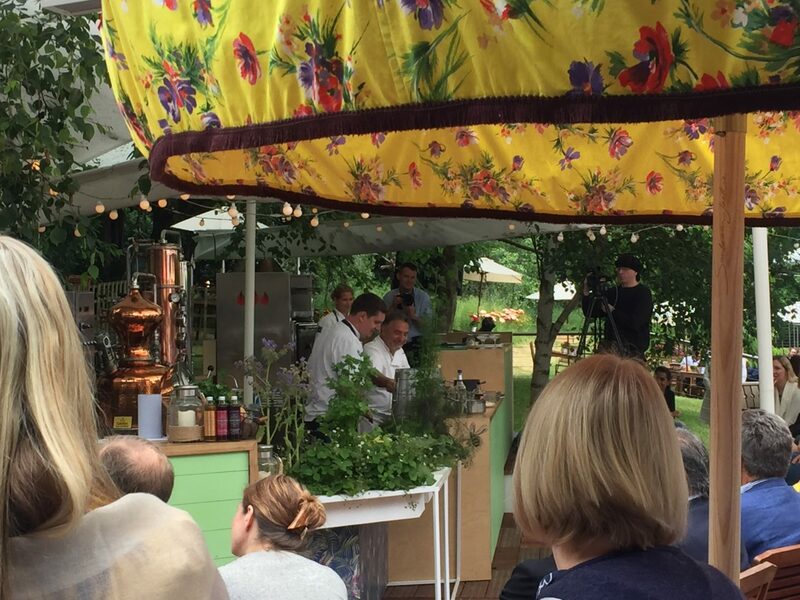 Raymond Blanc started the first of his two cooking demonstrations in the courtyard area which was full of chairs, parasols, deckchairs and cushions for the audience to make themselves comfortable. But of course it was so popular a lot of people were standing around the edges and craning their necks to see. Thankfully I had a fairly good view even though I was standing (being tall has it’s advantages), but there was also a video stream being shown on two big screens too. Raymond Blanc is so charismatic and funny it was hard not to get lost in his stories and pay no attention to what he was cooking. He told us about his mother and how much she had taught him about cooking, and about how his father built their family home from scratch and created a garden big enough to feed his growing family. It was also really lovely to see how he treated his two soux chefs who were helping him, you can really tell how passionate he is about food and cooking and how much he wants to pass that on to his students so they can teach it to the next generation of chefs. Next we sat back down ready for lunch and at each place setting was the menu of fare for the afternoon, which all sounded mouth-wateringly delicious. 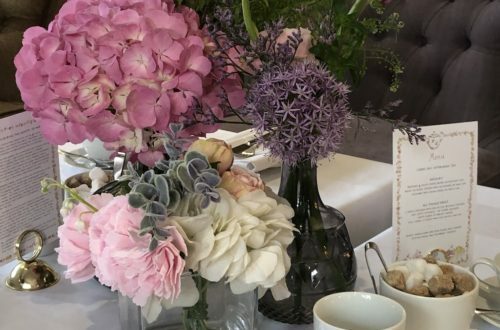 Our menus were rather special too, they had been made from seeded paper that you could take home with you and plant in your own garden to grow wildflowers – I thought this was a wonderful touch! Before the sharing boards heaving with our starters arrived, one of the head waiters came to explain a bit about each of the dishes including facts like the tomato salad is Raymond’s mother’s recipe and the breads were baked by a baker the family have known for over 40 years. 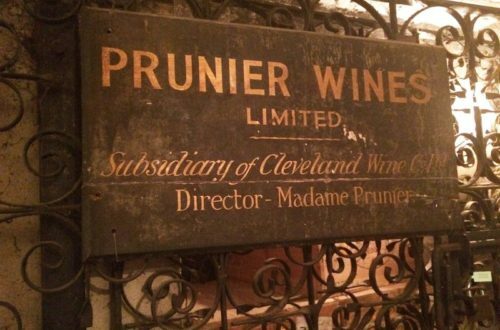 I loved that the menu had such thought and warmth behind it. The main course and dessert followed which were both divine. There is something very special about eating something that has been so obviously created with love, it somehow tastes so much better. 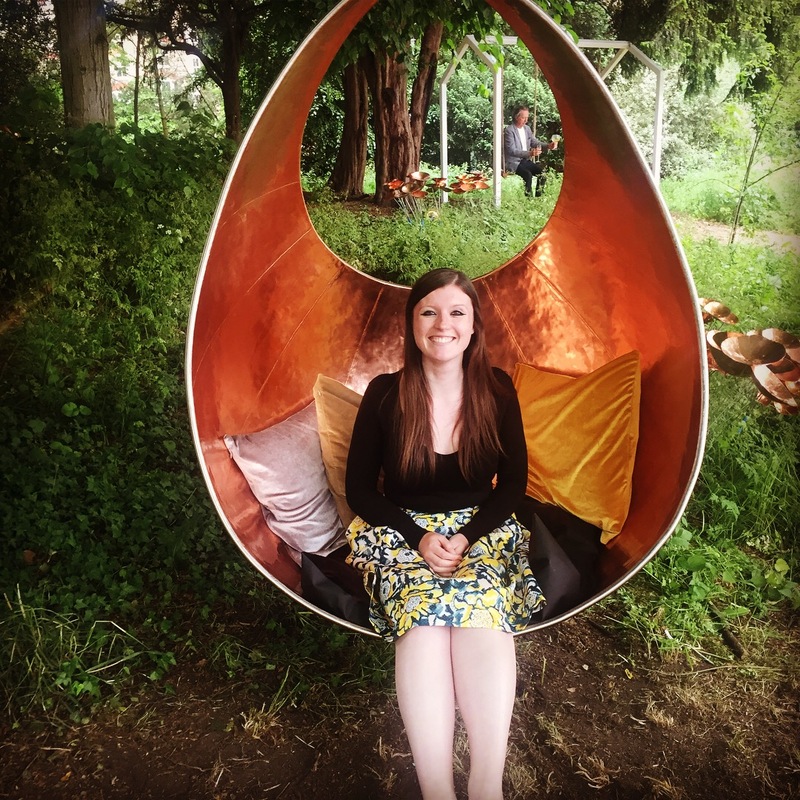 After lunch and more coffee, my mum and I had a wander around the garden and found an unusual sitting area full of egg chairs suspended from trees. I have always wanted one of these chairs (another mental note for my currently non-existent garden) so I was very excited about having a swing! After taking a lot of photos and actually meeting Raymond Blanc (yes, really!) we forlornly departed Jardin Blanc to have one more look around the show and to do some shopping. 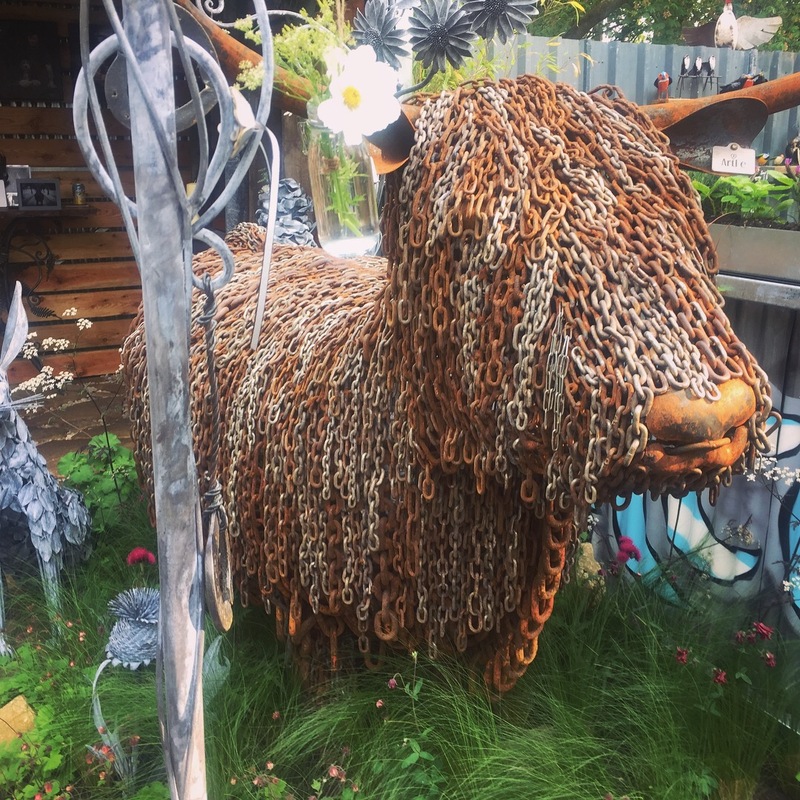 We saw an incredible highland cow made from chains at one stall and some ceramic succulents that can stick on walls. I loved the array of random but completely awesome things you could buy for your garden, it’s made me want one even more now! 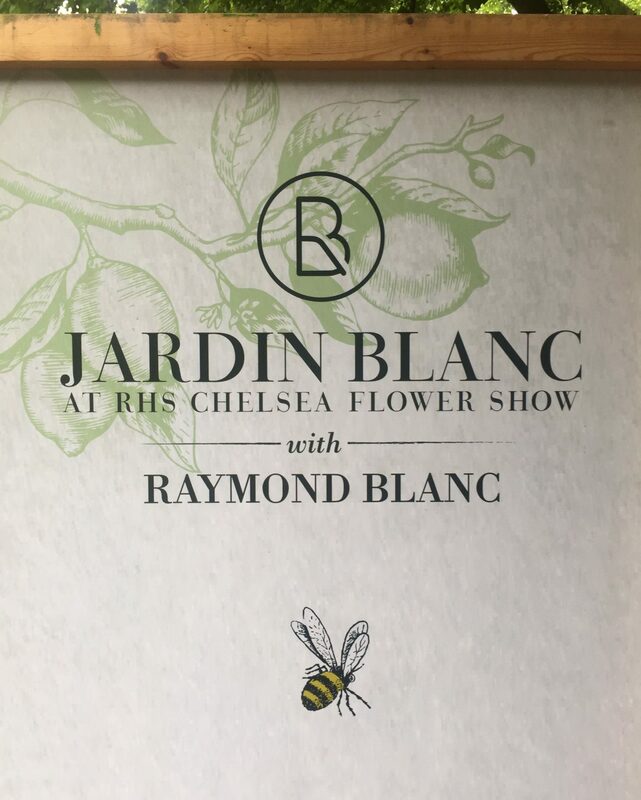 We had such a wonderful time at Chelsea and we were looked after impeccably at Jardin Blanc, I will absolutely try and go again next year and I implore you all to do the same! Go early! I cannot stress enough how much better it was being able to walk around the gardens without enormous crowds – and I mean enormous. Later in the day we walked past the show gardens again and the swarm was at least 10 people deep! It might be an early start, but it’s definitely worth it! If you see something you’d like to buy from one of the smaller stalls, think twice about walking round for a bit to see what else you find. Things go extremely quickly and by the end of the day a lot of stock had completely sold out. Before you buy anything, think about how you’re going to take it home (especially if you’re on the tube). My mum bought two ornaments you stick in the ground among plants which are very pretty, but at over six foot they weren’t half difficult getting home on a very packed train at rush hour! 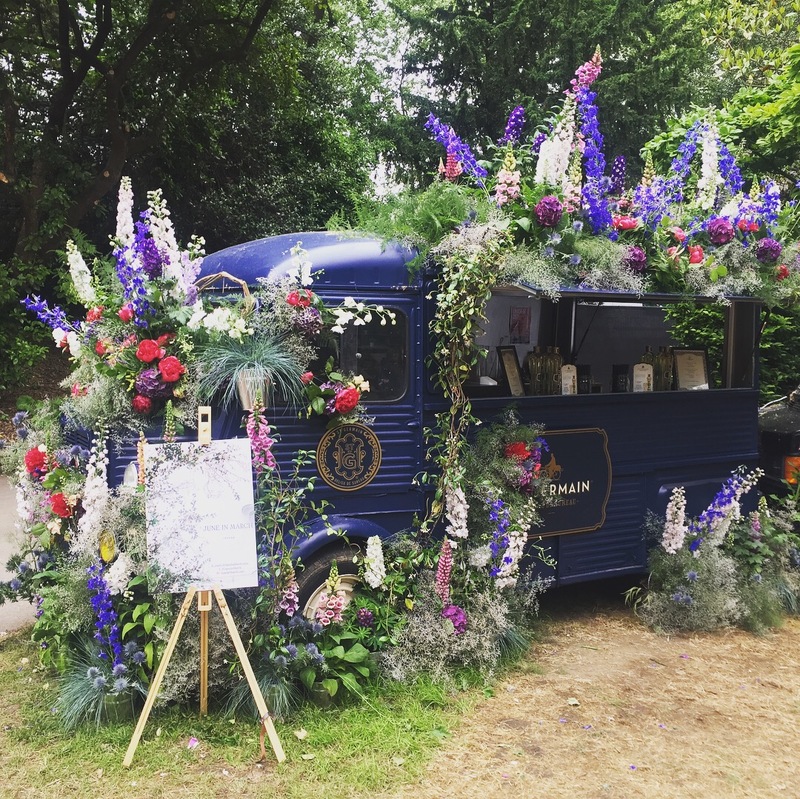 Have you ever been to the Chelsea Flower Show? What are your memories? It was amazing Kat! 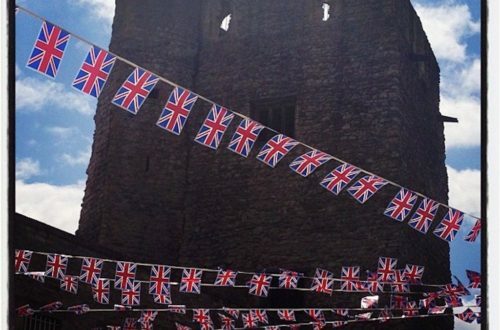 Unfortunately we didn’t see any Royals, but maybe next year! Ah thank you 🙂 that’s exactly why I wore it! 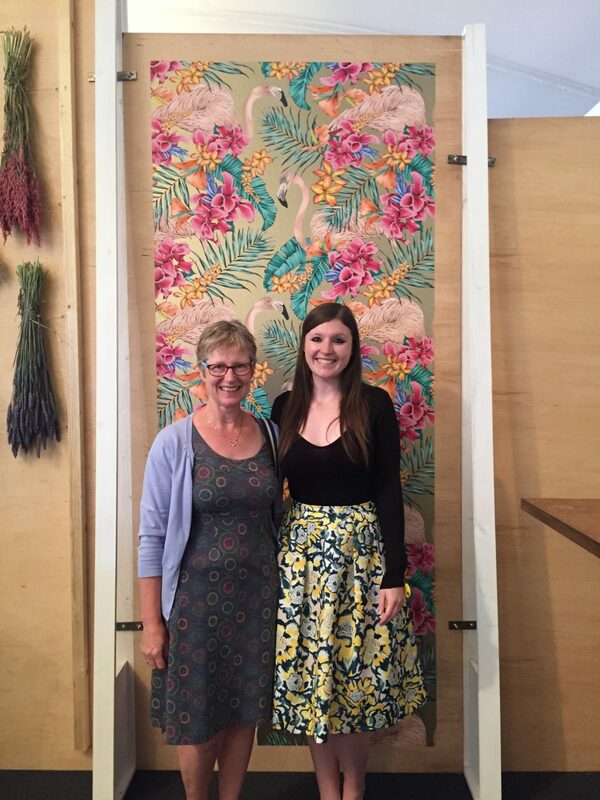 I would definitely recommend it, my mum and I had a fantastic time!